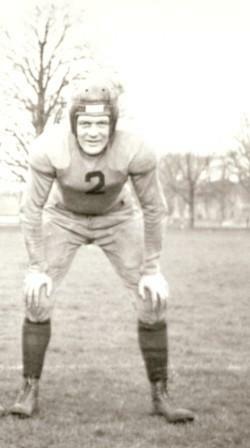 Huck Welch started his football career in Collingwood. He played senior ball at Delta Collegiate in Hamilton and then joined the Tigers in 1928. Huck Welch was an All-Star running back and kicker in the Interprovincial Rugby Football Union, and was the Scoring Leader in 1933 and 1936. He was a major in the Canadian Army during the Second World War, and played a few exhibition games in France against the United States’ army. Huck coached young players in Hamilton, Winnipeg, and Regina. He also served on the executives of senior clubs in those cities. Huck Welch is a member of the Collingwood and Canada’s Sports Halls of Fame.